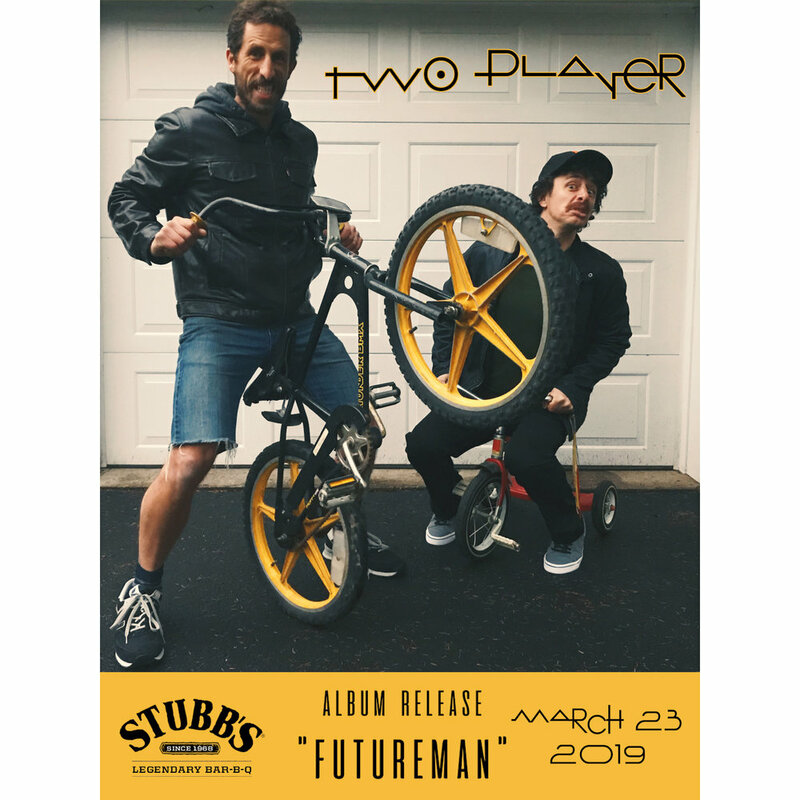 The debut album from Two Player - “Futureman” - dropped Tuesday February 26th! Pick up your copy on vinyl below and listen on Spotify, iTunes and everywhere else! Entry into grand prize drawing to with the “Futureman” helmet! Two Player is an Austin-based power duo featuring brothers Hoag (drums/lead vocals) and Bonesaw (guitar). Formed in 2018, these former frontmen of Full Service combine progressive rhythms with exciting, complex lead guitar work and dulcet vocal acrobatics, all disguised and packaged into lean, savory arrangements. It's a touch of math rock and a spoonful of pop, with a live performance that showcases the brothers' deep and unrivaled chemistry and musical eccentricity.